It’s the end of an era. 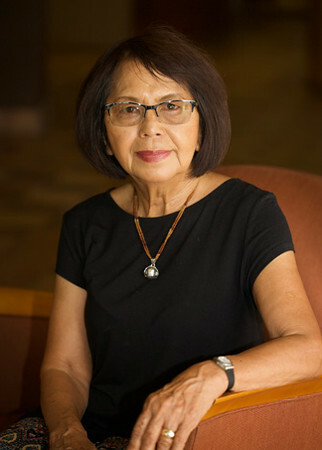 After more than 40 years as an ESL instructional aide at MiraCosta College, Sue Otis is calling it quits. She leaves behind more than her share of admirers. Born in Okinawa, Japan, Otis attended a beauty college in Tokyo after high school, then opened her own studio in 1962. After marrying a U.S. Marine based in Japan and giving birth to two daughters, she sold her business and moved with her family to Oceanside in 1968. Following a brief detour to Pennsylvania, the family returned to Oceanside in 1973. That’s when Otis began taking ESL classes at MiraCosta College. “I just wanted to learn English,” she said. In her mid-30s, she enrolled in for-credit college classes, declared a major in accounting, and graduated with an associate degree in 1976. She also was awarded a MiraCosta Medal of Honor. Determined to help others who were following a similar path, Otis began working as an instructional aide for the ESL program in 1977 while also running her own hairstyling business. She sold the business in 2001 and began teaching yoga in Encinitas but kept working as an instructional aide. The changes over the years have been many. Jimmy Carter was in the White House. The average home cost less than $50,000. The average annual income was $15,000. And gas would cost you 65 cents a gallon. But Otis is a quick learner. She was an aide for one of the college’s first offerings of the ESL Digital Storytelling class, and in 2008 she put together a digital story titled “Little Samurai” recounting the early life of her great grandfather’s story. Although she’ll be gone from MiraCosta, Otis has more than enough to keep herself busy. She plans to work in her garden, do some traveling, and spend a lot of time with family. And she will continue to exercise and practice yoga daily. And MiraCosta College will always remain a part of her.